I feel blessed and thankful. I won’t tell you a lie and make it seem like our life has been perfect. That is far from the truth. I had a difficult life growing up with struggles just like many people I know. I was raised in a single parent household. We did not have an easy life growing up but I did know I was loved by my mother, my brother and by God. I went on to get married to my high school sweetheart and after a very difficult getting pregnant, I finally went on to have three boys. My boys are all grown up now. Two out of three had significant health issues. Our oldest son is autistic and lives with us. I could go on and on talking about me, but the point is we all struggle at some point in our lives. Even through my worst struggles, I felt like God was always with me. One day I decided to check out a health food store that someone I knew from church had opened. I go in the store and one of the first things the owner tells me is about this unheated healthy chocolate called Beyond Dark Chocolate. She actually told me I could lose weight EATING CHOCOLATE. Are you kidding!? I thought that was just insane. I mean if you could really lose weight eating DARK CHOCOLATE, the whole world would know that, right? Well I was sure this was a total scam so I brushed her off but did say I would look into it this health chocolate. What I really meant to say was I was going to prove that this stuff is a joke, that there is no such thing as healthy chocolate. I mean, really. My goal was to “save” her from getting ripped off as I felt this HAD to be a scam. So I checked it out and researched and researched some more. I did my due diligence. I knew there had to be some scam or ripoff waiting to happen. I mean really, I had not eaten any kind of chocolate for nearly 20 years because of all the calories. Well was I in for a big surprise. I Googled it. I researched Medical Journals. Even peer reviewed articles. The more I looked into this, the more I could not believe I did not know about this before. I mean if there is Healthy Chocolate that has enough Polyphenols. Antioxidants and Cocoa Flavanols to lower inflammation, that is valuable and interesting. I knew that eating antioxidants and flavanoids can lower inflammation so I started thinking maybe there just might be something to this. I even found out this healthy belgian chocolate is low calorie, vegetarian, gluten free, diabetic & KETO friendly! Ok, so peaking my interest just a little at this point. I heard a professional Doctor in Port Charlotte, Florida at Kings Gate Country Club speak. His name is Dr. Joseph Spadafora. I was impressed by what I heard that evening, shocked even. Dr. Joseph Spadafora is the Medical Director of Community Eye Center and Assistant Professor of Ophthalmology at the University of South Florida, Tampa. He is Board Certified and a member of the American Osteopathic Association, American Academy of Ophthalmology, Charlotte County Medical Society and the Florida Medical Association. He was impressive to say the least. He was the most knowledgable doctor when it comes to nutrition that I had ever met in my life at the time. That day I knew I had to seriously try out this Beyond Healthy Chocolate. Well that was over eight years ago and I am still shouting from the roof tops about how fantastic and life changing this has been for our family. When I first ordered, I figured I would give the chocolate 30 days and see if I noticed a difference. I never stopped the chocolate. When they came out with the Beyond Healthy Chocolate Protein Shake, I was hooked on that. It was featured on the cover of the American Journal of Bariatric Medicine, the “Bariatrician”. For me, that shake has helped improve the quality of my life and of my son with autism. ,Seriously, If you know someone struggling with autism, you need to check into this now. This was a lifechanger for our family and we had serious mood issues that would have forced our son to be placed in an institution instead of at home which is what we wanted. Today we are planning on building a new home with an apartment for our son nearby. Things have improved that much. I told you we are blessed. I can’t say enough good things about this dark chocolate and how it helped my autistic son and me with my fibromyalgia and ME/CFS. Sometimes I think God directs us to the right people or the right things. I feel like everything happened for a reason. Whatever you believe, I know I am blessed and thankful that I found this product. At the time I ordered, I was asked is this something I would want to consider for a home based business. I said No way. I had no desire to have a home based business. Things were crazy taking care of my son and my own health issues. Well, that sure changed. People I knew started noticing I looked better, that I was losing weight and that my skin was glowing. To this day people don’t believe I am 53. I swear the chocolate has made the difference. So when people kept asking where they could buy this Chocolate, I went into business and this become my side hustle and then my only hustle. Another God thing. This dark chocolate is not just any confectionary chocolate you can buy at the grocery store or even your favorite artesian chocolate factory. This is Dark Chocolate that is not heated like traditional chocolate. It is made with a patented process which is why you don’t find it with candy makers. It has no waxes, fillers or processed sugars. It is sweetened with Acai Berry and Blueberry. 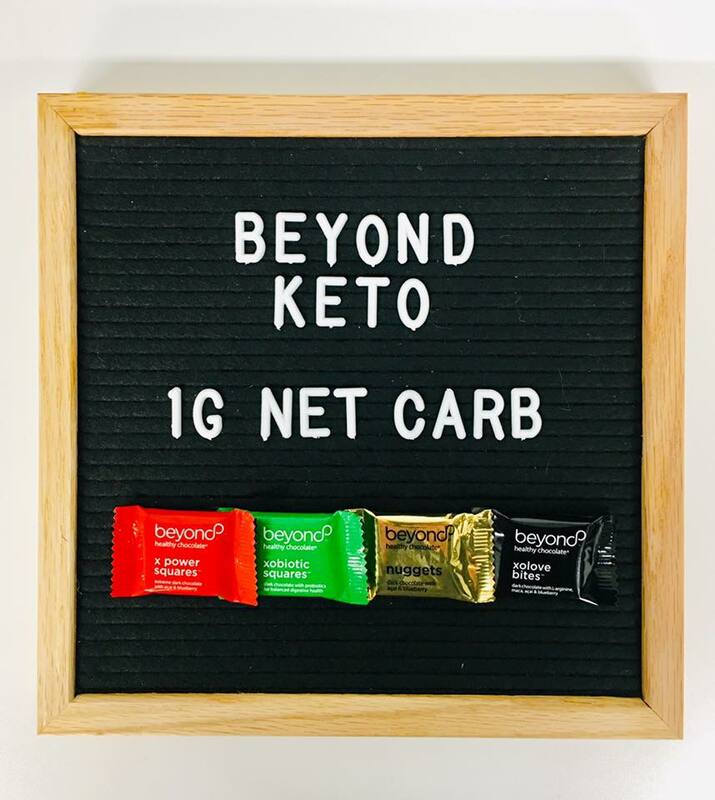 I also love that a Beyond chocolate is only 35 calories, 1 gram of sugar and 1 net carb, meaning I can eat CHOCOLATE anytime I want! Absolutely no guilt. Now you can see why I love this so much! So if your goal is to get healthy in 2019 or improve the diet of someone with autism, you need to order this Chocolate today. If your goal is to Build A Successful side hustle home based business, you have just found a Gold mine. Literally! Check out our website at MyCHOCOLATEVitamins.com or call us at 941-676-7300. Free Chocolate Samples are available at SampleChocolates.com . 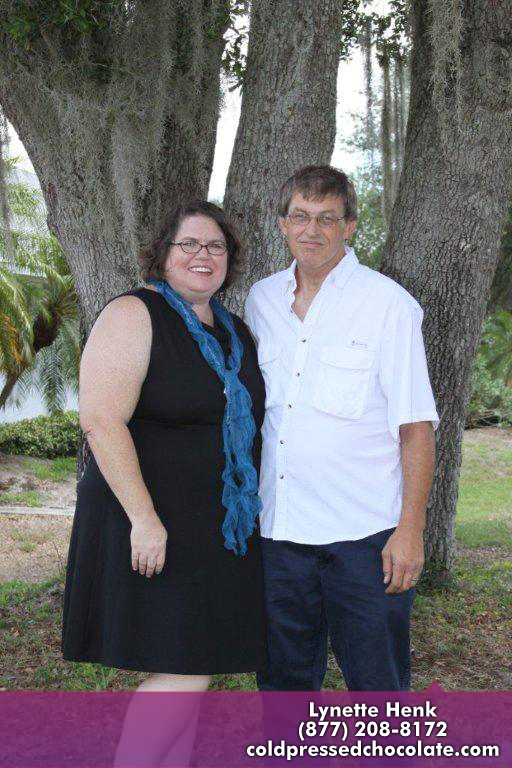 We are Lynette & Wayne Henk of Three Sons Marketing LLC out of Babcock Ranch / Punta Gorda, FL. We seriously need to talk! Well-Beyond is growing FAST!